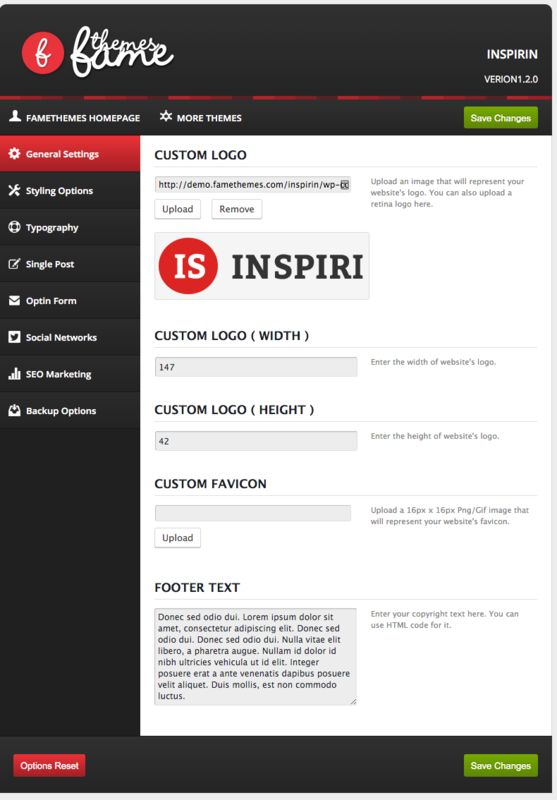 Once you have activated your theme you should take a few minutes to read over and configure the theme options page. Click Theme Options on left menu to load the options page. The theme comes with 6 custom widgets that can be used to configure how your site displays content – they can be found under Appearance > Widgets. Here is the video how to manage widgets on WordPress: https://www.youtube.com/watch?v=94H6e1e7WZI.